Practical 2-in-1 solution to clean and detangle hair, making it shiny, soft and light. The special formula enriched with Green Apple Juice and Aloe makes hair elastic and easy to brush, without the need for conditioner and without weighing it down. Its conditioning formula is perfect for frequent use. It makes hair extremely shiny and vibrant with every use. Practical 2-in-1 solution to clean and detangle hair, making it shiny and light. 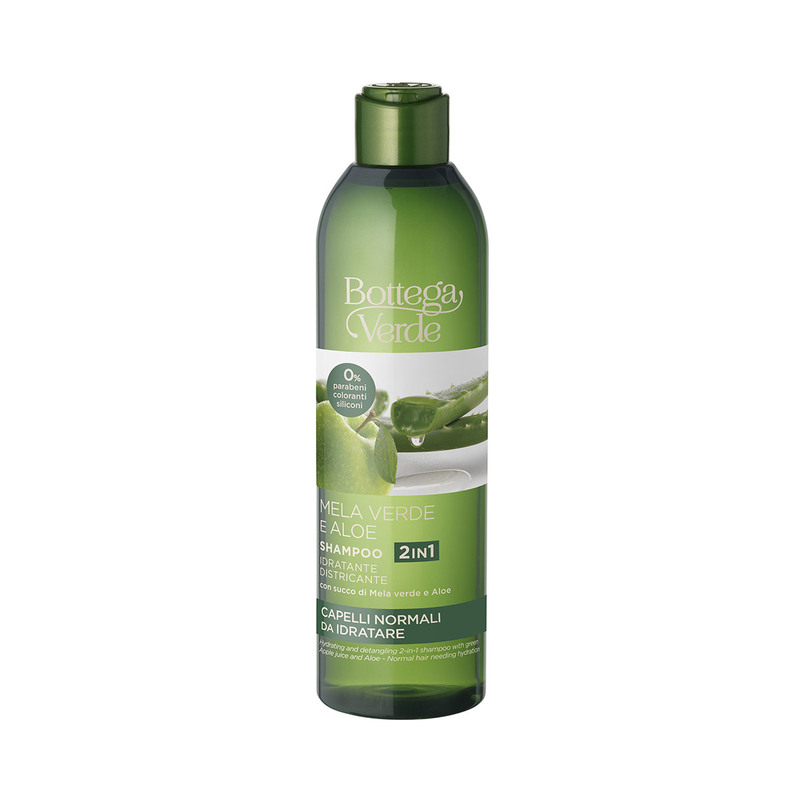 The special formula for frequent washes is enriched with Green Apple Juice and Aloe. Actions:2-in-1 shampoo that gently cleans and detangles. Direction for use:How to use it: apply the product to wet hair and rub it in to produce a soft lather. Rinse thoroughly with water. Important: you do not need to apply conditioner! Suggestions:For anyone who is looking for a single product for frequent washes. Characteristic:Formula enriched with Aloe Juice, Wheat sugars and proteins, and panthenol (provitamin B5). Choose it if you want a product that contains no parabens, formaldehyde releasers, colourings or silicones.